From Italian shipyard Cantieri di Termoli comes the 50m/164ft CUSTOM LUXURY YACHT, built in 2015 with naval architecture and exterior styling from Tommaso Spadolini and interiors by Salvagni Architetti. Within the natural and contemporary interiors, there are six luxury cabins to accommodate 12 guests and offer unprecedented comfort during charter vacations. A broad lower deck swim platform allows guests to sunbathe next to the water, which can be accessed via two staircases leading down from the main deck aft. From this deck, guests are treated to a stern-side lounge with a large sofa and armchairs around a coffee table, while close to the main salon a formal alfresco dining area serves up to 12 guests for a meal. An outer staircase leads up to the Owner's deck aft, where a casual lounge and sun loungers provide places for guests to rest in the shade. The Owner's deck forecastle has room for two tenders, which are launched and retrieved using Davit cranes. The sundeck has the best views on board, with the aft section laid out with plenty of sun loungers. Guests can enjoy panoramic views on the sundeck forward form the massive Jacuzzi, the surrounding sunpads, or while sipping a cocktail at the shaded drinks tables. The lower deck layout contains the tender garage and the engine room. Two double cabins and two twin cabins each with en-suite facilities are located amidships, and the lift/elevator on the port side connects the decks. The lower deck forward hosts the crew cabins, mess and facilities. A stately dining table is the centrepiece of the forward formal dining area, where up to 12 guests can savour a three-course meal. Aft of the dividing wall is the main salon, within which is a reading area designed for children as well as adults, and a massive sofa taking up space along the starboard side wall. The forward helm station is on the Owner's deck with the VIP stateroom on the starboard side amidships. The lift/elevator and staircase is opposite, and the expansive Owner's suite is to the aft. Inside, there is a chaise-lounger, a vanity and a widescreen TV opposite the bed, an en-suite bathroom and walk-in wardrobe and an office. Guests will find the sky lounge situated on the sundeck, where there is a sophisticated port-side bar storing an excellent variety of drinks and seating placed on the adjacent wall underneath the windows. Behind, the wellness centre contains a gym with room for spa massage services as well as a sauna. Twin Caterpillar engines allow for a maximum speed of 14 knots and a cruising speed of 12 knots. A spacious VIP stateroom is located on the Owner's deck on the starboard side, deck and has room for a lounge and en-suite facilities. The accommodation sleeps up to 12 charter guests across 6 cabins en-suite: 1 Master suite, 1 VIP stateroom, 2 double cabins and 2 twin cabins. 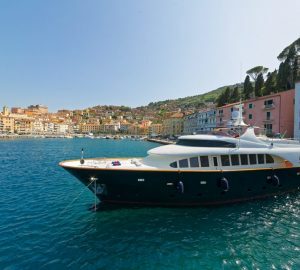 The expert crew of 12 will ensure guests have a relaxing and entertaining time on board. 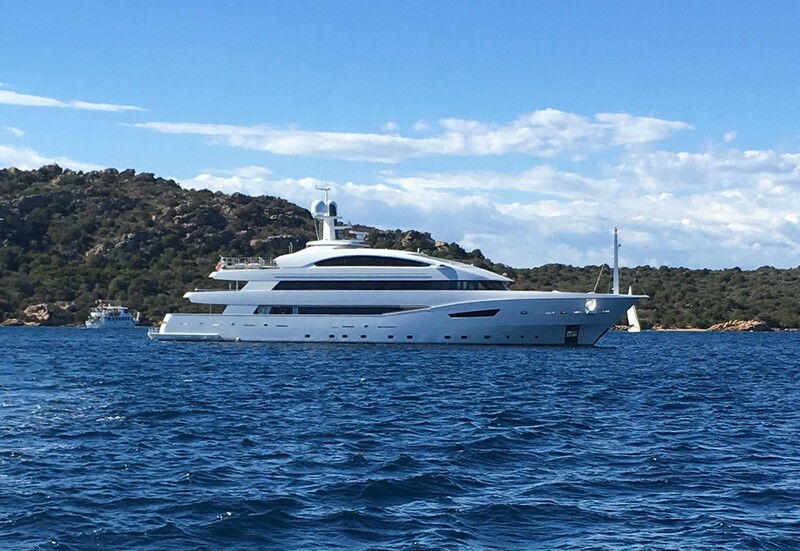 We do have available further amenity, owner and price information for the 50.00m (164' 1") yacht 50M CUSTOM LUXURY SUPERYACHT, so please enquire for more information.